Wine lovers happiness guaranteed! Recently enRoute Magazine named the Similkameen as “one of the world’s 5 best wine regions you’ve never heard of”. Set amongst the dramatic backdrop of craggy mountains, these wineries are beginning to get the attention they deserve. Shhhh! For insiders only! The Similkameen Valley is a pristine stretch of vineyards, set in the dramatic backdrop of rugged and awe-inspiring mountains. Considered the “organic capital of Canada”, the area is known for small farms and producers dedicated to creating quality produce, delectable foods, and award-winning wines. Due to the tall surrounding mountains, and reflective rock, heat remains in the valley long after the sun sets. The valley is arid with persistent winds that can reduce the moisture in the vines and the soil. Even above ground irrigation can evaporate before touching the ground. 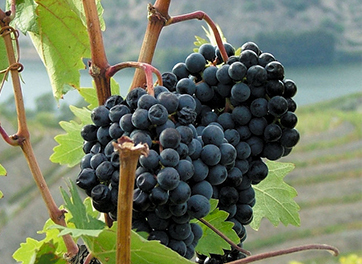 The wind does minimize mildew, so vineyards generally don’t require frequent spraying. Average 1,360 growing degree days. Various soil types, including stony, gravelly, and silty loams from glacial rock formation.